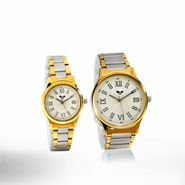 Watches are one such accessory that has always been in vogue. Gone are the days when wristwatches were just a means to keep a tab on time. Today, with changing trends and lifestyle, timepieces have undergone a huge change. They have totally emerged out as a fashion statement as well as an indication of sophistication, wealth, and even education. From fashionistas to sports legends, from corporate professionals to average workers, from university students to school children, you will see all of them adorning their wrist with this timeless accessory. In today's contemporary world, watch is no more recognized just as a time-piece. It has become a must-have accessory for everyone to team up with desired dresses. Whether, it's a formal party or a wedding, a night out or a small social gathering wristwatches found its new place in the wardrobe, becoming an indispensable fashion accessory rather than just being a necessity. 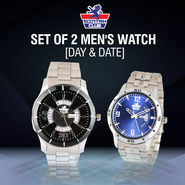 Today there are ultimate styles of timepieces available; some are specifically geared for sports that are more rough and tough and durable with water resistant properties. Some are elegant ones, made of a precious metal or leather to serve the high standard of people. These are likely to be more classic and have a timeless appeal. These will remain in fashion for many years and would hardly go out of style. There are some more styles, catering all sort of a different class of people. 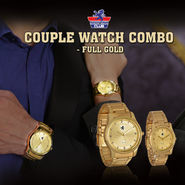 There are many trendy wrist watches out there on the Internet for both men and women, giving a new edge and style to today's modern youngsters. Hence, beautify your wrist and add that charming factor to your overall look right now. 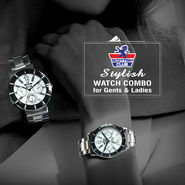 Today market is flooded with cost effective timepieces and Naaptol.com just brings the same for you online. 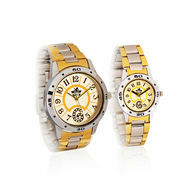 The site covers a full-fledged watches section where you can find a wide range of watches for men and women. There are different brands of timepieces that differ in design, dial, colors, material and strap. No matter what style of watch you buy, wearing it with the right apparel will definitely make you stand out of the crowd. 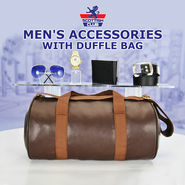 So don't be left behind in flaunting your own fashion statement. Grab one from Naaptol to reach a new level of passion.